Adorable puppies in your price range! I am a breeder Austin, Texas and our puppies are raised underfoot with all the love and attention a puppy needs. The goal here at MaltipooPup is to breed small loving puppies which will make great pets for families. We focus on temperament and health when breeding. Rabbit is a very handsome 3.5 lb tiny toy poodle. He is our most often used stud because of his great personality and small size. He loves to be carried around and plays with cat toys (because dog toys are too big). He is a very loving father and will often protect his babies from the other dogs in the house. He throws tcup puppies and they often do not grow to be more than 4 lbs. Armani is my handsome yorkie male. He has bred many beautiful babies. He stands 10 inches tall at the shoulder and weighs 6 lbs. He is very smart and has a great personality. He loves attention and running around the ard as fast as he can. He throws Tiny Toy and Toy puppies. Snowball is the perfect family memeber. He is 4 years old and weighs in at 6 lbs. 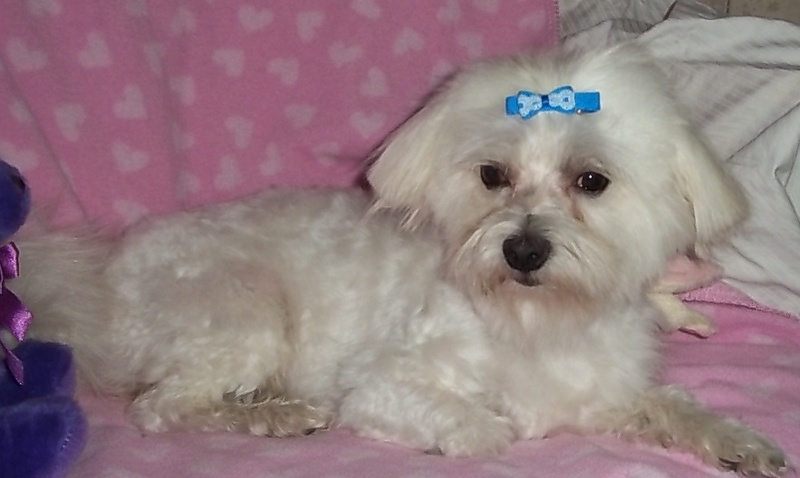 He is a maltese male and has a very calm, shy personality. He loves to rough house with the boys and sleep in my lap when a good movie is on. He does well with my kids (4yrs, 2 yrs, 18 months). He makes Tiny Toy size puppies and is adored by all who meet him. Moquito is a new up and coming Stud who is doing great learning and playing with the other dogs. He will have his first litters of pups in 2016 and we are excited to see what colors will be available. He weighs 7 lbs and should make Toy size babies. ***More pictures of other "parents" pending. © 2018 Maltipoo and Yorkiepoo Puppies . All Rights Reserved.